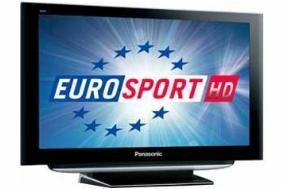 Virgin Media adds Eurosport HD to channel line-up | What Hi-Fi? But Virgin promises that Europsort HD will be "the first of several new HD channels due to launch on Virgin in the coming months", all available to at no extra costs to customers on the firm's XL TV package. Launching in April, Europsort HD will broadcast a range of sports including the forthcoming Tour de France, French Open tennis, all European rounds of World Superbikes, the World Touring Car Championships and Athletics European Championships – as well as selected tournaments from the Sony Ericsson WTA Tour and wintersports. Cindy Rose, executive director of digital entertainment at Virgin Media, says: "We're really excited about the spring launch of Europsort HD and the wider roll-out of several more new HD channels in the coming months." Virgin isn't yet revealing which those other new HD channels will be. It currently offers BBC HD, 4HD, ESPN HD, National Geographic HD, MTVN HD, FX HD and Living HD, as well as several hundred hours of HD programmes on demand. It has also signed exclusive rights for the first UK showing in HD of the Che Guevara biopic by Academy Award-winning director Steven Soderbergh. Part One, The Argentine will be shown on February 5th, with Part Two, Guerilla airing on March 5th. The films will each be available for a month on Virgin's TV-on-demand service. Later this year Virgin Media will introduce its new TiVo high-definition set-top box.